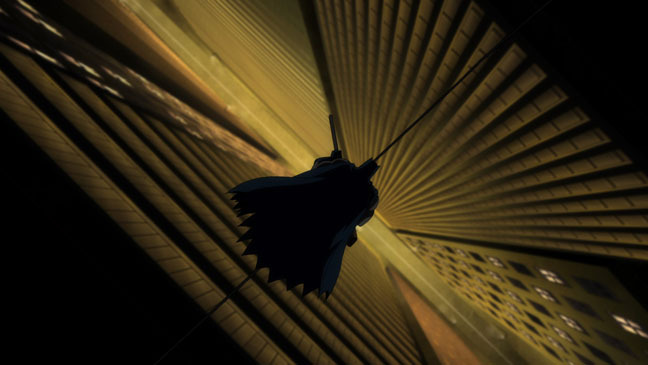 Batman will perhaps never escape the shadow of Frank Miller. His take on the character has left such an indelible mark that almost every iteration since has been a variation of what he established. Ironically, as influential as both Batman: Year One and Batman: The Dark Knight Returns have been, the latter has never received a proper adaptation in either live-action or animated form. 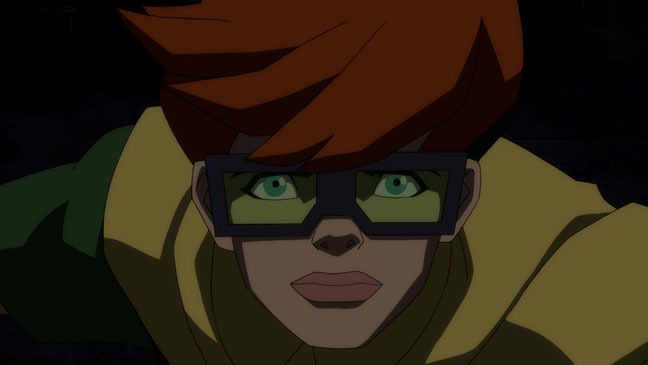 Alas, The DC Animated Universe provides a wonderful platform to explore non-canonical takes on beloved characters. 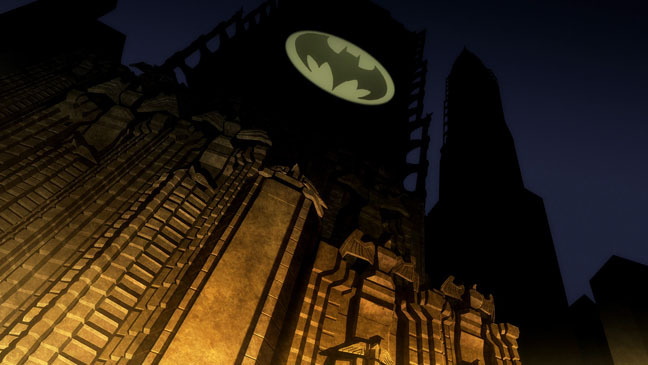 This fall, the highly popular series will welcome Frank Miller’s dystopian (and some would say definitive) take on the caped crusader into the fold. The Hollywood Reporter has recently published photographic evidence of this endeavor. Yesterday, The Hollywood Reporter published 10 newly released images from Bruce Timm’s production of Batman: The Dark Knight Returns. 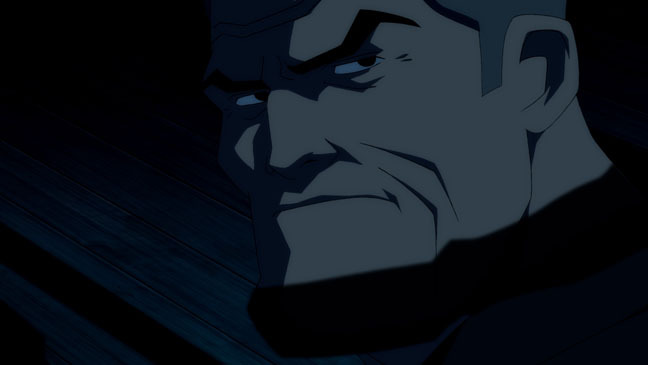 The 10 stills show a 55 year old Bruce Wayne/Batman, as well as a thirteen year old female robin. So epic is this undertaking, its makers have split it into two volumes. 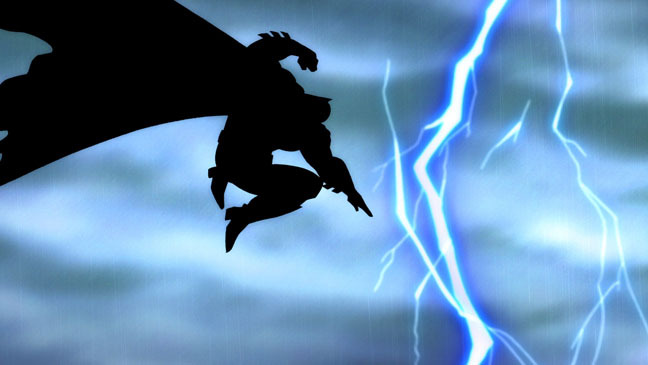 The first, entitled Batman: The Dark Knight Returns part 1, will be released in the fall. Part 2 will be released early next year. 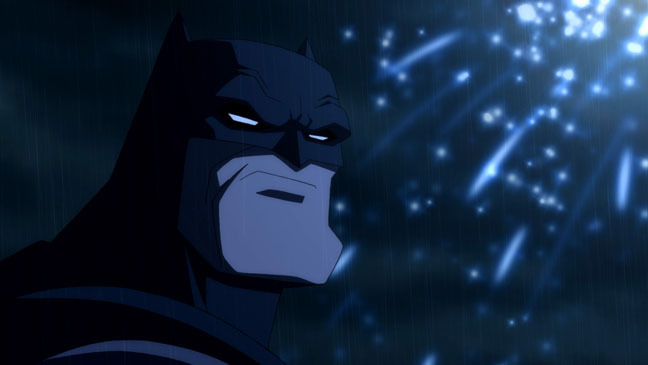 Peter Weller will be voicing the caped crusader, which is fitting seeing as how both Robocop and Frank Miller’s dystopian version of Batman were essentially riffs on Dirty Harry. The two part epic will be the 15th film in the DCAU line, which has been rechristened DC Comics Premiere Movies. 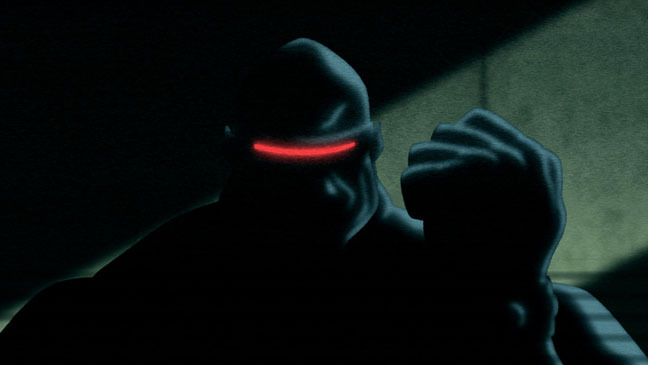 It’s being directed by Jay Oliva, who’s also storyboarding Zack Snyder’s upcoming Man of Steel. The pedigree here is undeniably strong. These ten stills give me faith that Bruce Timm and company will do the single greatest graphic novel of all time justice. 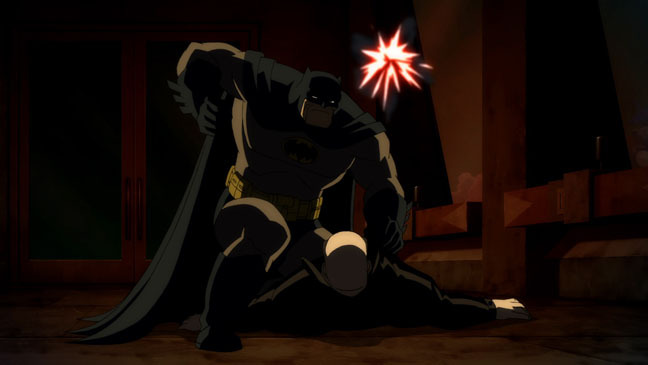 I feel that they maintain reasonable fidelity with the artwork of Frank Miller and Klaus Janson. If all goes as it should, Batman: The Dark Knight returns should be the single best DC animated film ever. Below I have embedded the animation stills sans the photos of the voice actors. Wow! This is one I've waited a long time for....so long I'm not sure how to feel, lol.